You are here: Home / Featured / Willie Mae’s Scotch House New Orleans, Americas Best Fried Chicken? 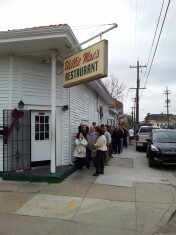 Willie Mae’s Scotch House in New Orleans has been visited and reviewed by every major food network and blog there is. Tastes Like Travel normally tries to visit those unknown, out of the way, Mom and Pop places that get missed by the main stream media. However, Willie Mae’s is know for serving the Best Fried Chicken In America, and anyone who loves fried chicken would be out of their mind to miss an opportunity to eat chicken with these credentials. 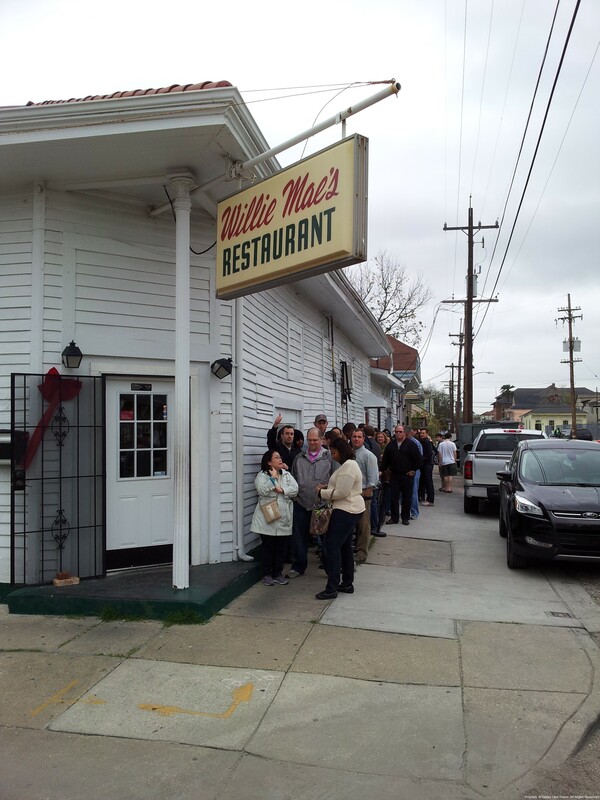 So on a recent trip to New Orleans we headed to Willie Mae’s to try it for ourselves. As luck would have it we arrived at 11 a.m., walked right in and were seated immediately. When we left 45 minutes later there were over 35 people waiting to get in. Arrive early or come for a late lunch if you want to avoid waiting. The first thing I noticed was that Willie Mae’s was located in an old house that has been remodeled into a restaurant. Apparently Willie Mae’s Scotch House was just that. It started as a bar in the 1950’s and transitioned into a restaurant. Apparently Willie Mae let the bar customers sample her fried chicken and the demand started. As we were seated and handed menus I was impressed at how friendly everyone was. The waiter was patient and answered all of our questions with a smile and was courteous and prompt. The menu was pretty simple. Fried Chicken, Pork Chops and Veal with Rice and lima beans or red beans for a side. The trophy wife and I were here for the famous Willie Mae’s fried chicken so that is what we ordered. I had the Lima beans with rice and the wife had the red beans and rice. As we waited for our food the other tables around us were being served. Just looking at the food at other tables made my mouth water. We struck up a friendly conversation with the table next to us and it was apparent everyone was happy to be here. Our food arrived and we wasted no time digging in. Willie Mae’s fried chicken has a light, almost tempura like, batter. Moderately spiced and was very tasty. 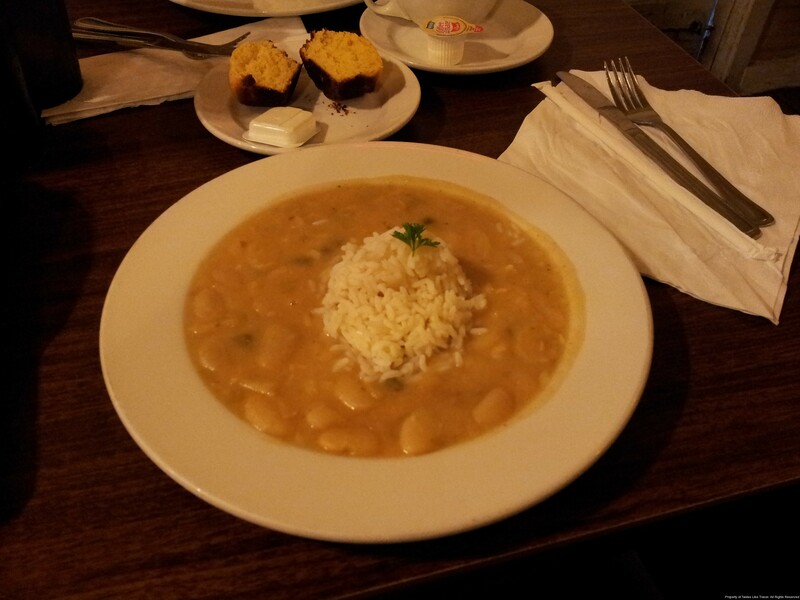 My Lima beans and rice were excellent, and looked so good that the man at the next table asked me if he could have a bite. The food was truly at the pinnacle of good southern comfort food and was reasonably priced. We thoroughly enjoyed every bite. The question remaining is, Is it the best Fried Chicken in America? It truly is delightful and should be experienced but I can honestly say I have had better. My Mom’s fried chicken was definitely better. Of course every child from the south who’s Momma was a good cook can make that statement, so this is an unfair comparison. 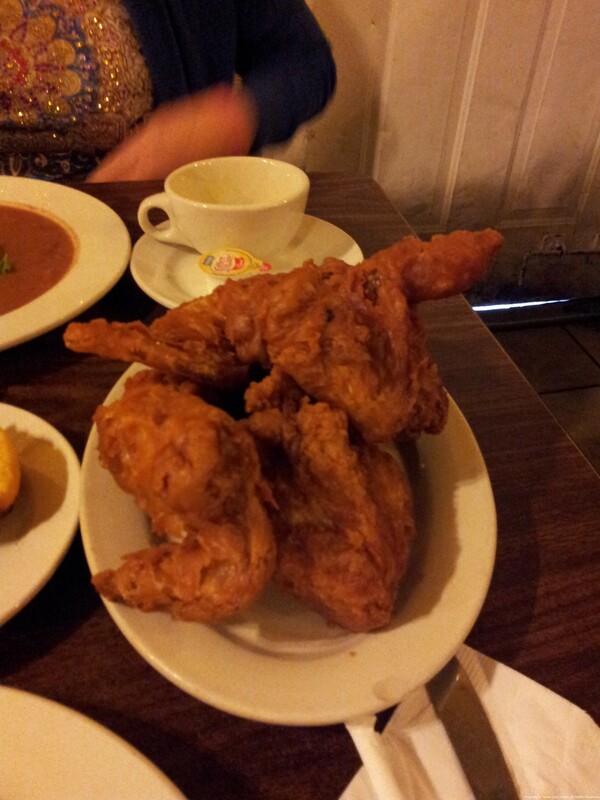 However the fried chicken at the Po Po Family Restaurant in Boerne Texas is, in my opinion, better. Don’t let that stop you from visiting Willie Mae’s Scotch House in New Orleans Louisiana It is a Historical, Cultural, and Culinary experience you deserve.